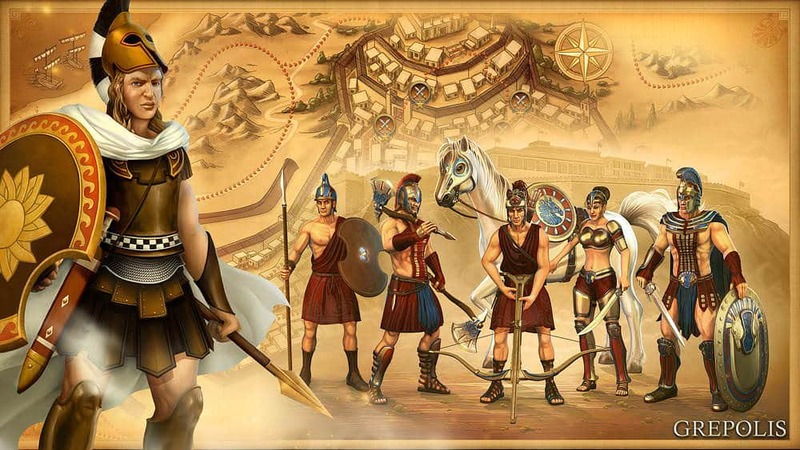 Are you ready to conquer Ancient Greece? 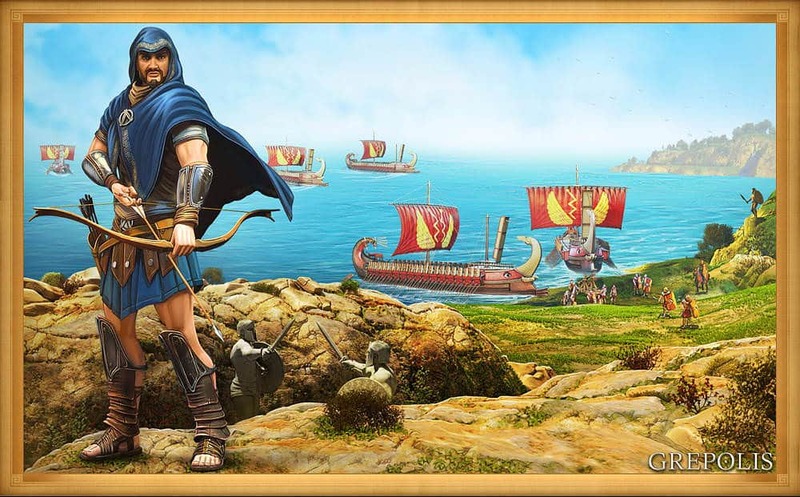 Do you want to follow in the footsteps of Odysseus, Leonidas, the beautiful Helen, or other Greek heroes? 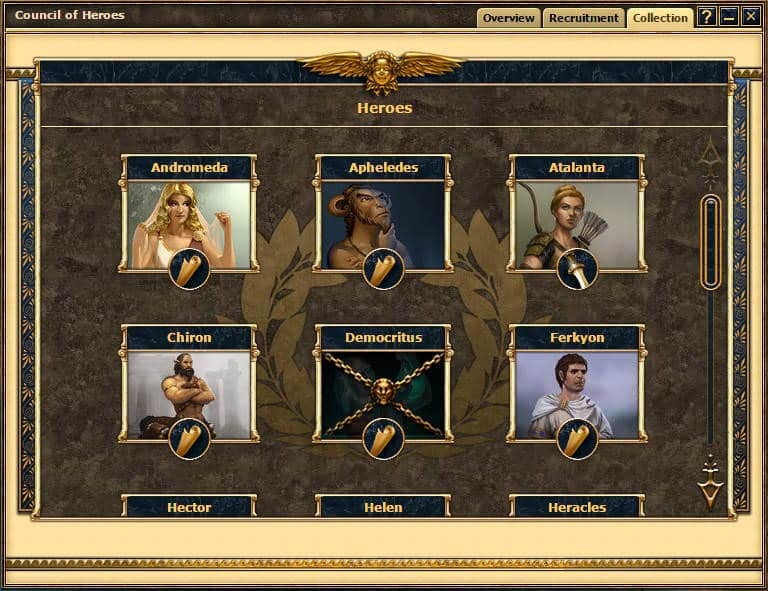 Then join us on a unique adventure through the world of the ancient Greeks. 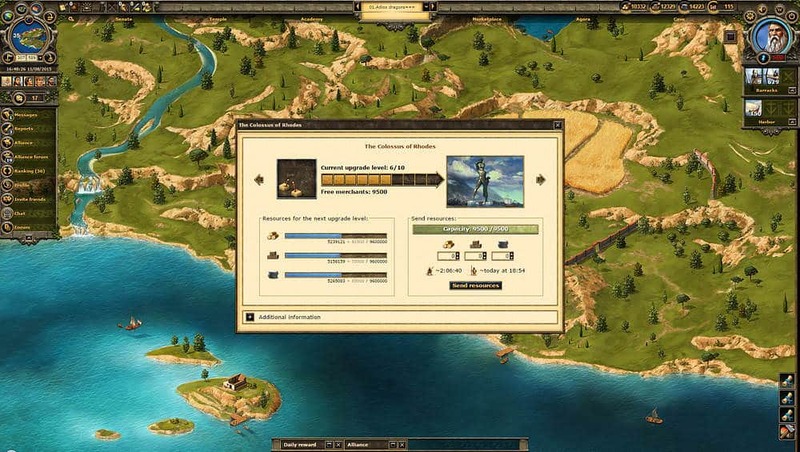 Grepolis is a free, browser-based online game with a strong focus on cooperative play and strategy. 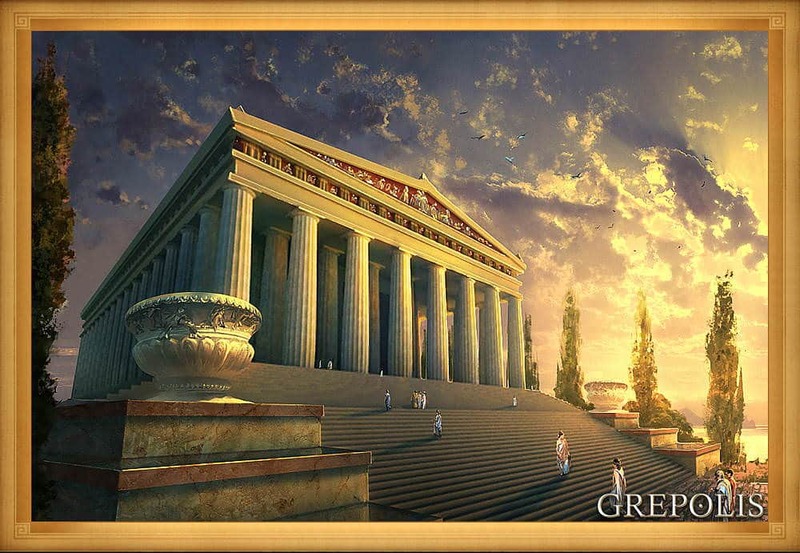 Your task is to transform a small polis (Greek for town) into a huge metropolis. 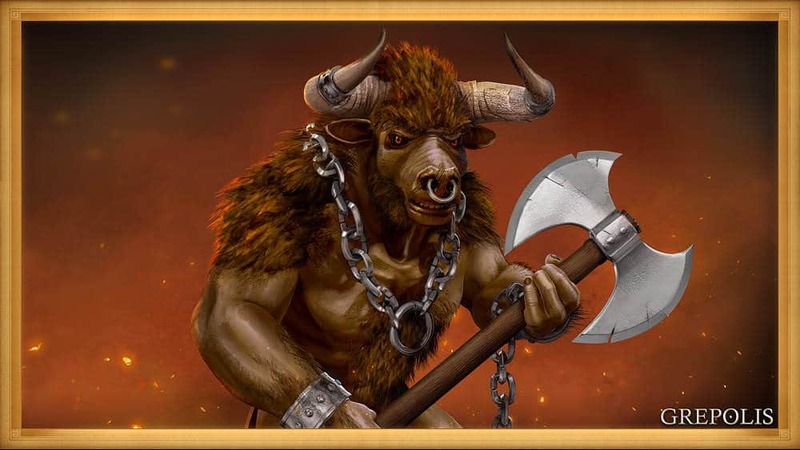 Recruit a powerful army with mythical units like the Manticore or the Hydra. 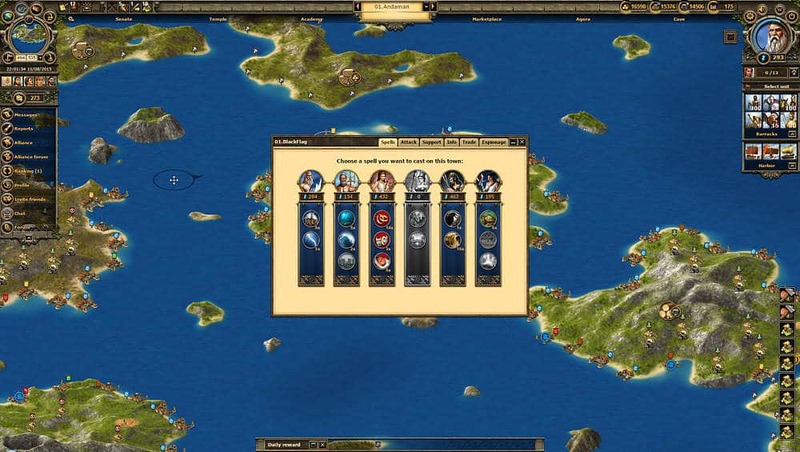 Navigate your seafaring troops through the Greek seas, and conquer faraway islands. Forge mighty alliances with your friends, and coordinate attacks against common enemies on land, water, or from the skies. 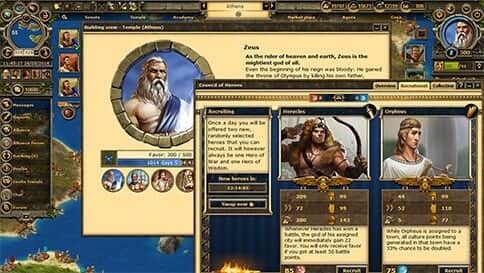 On your epic journey to fame and glory, do not neglect to earn the favour of the gods of the Greek pantheon: Zeus, Hera, Athena, Hades, Poseidon, and Artemis. Their goodwill could mean the difference between victory and defeat. 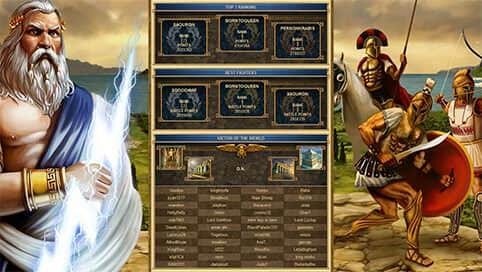 Construct unique World Wonders, and become the most powerful ruler of Ancient Greece! 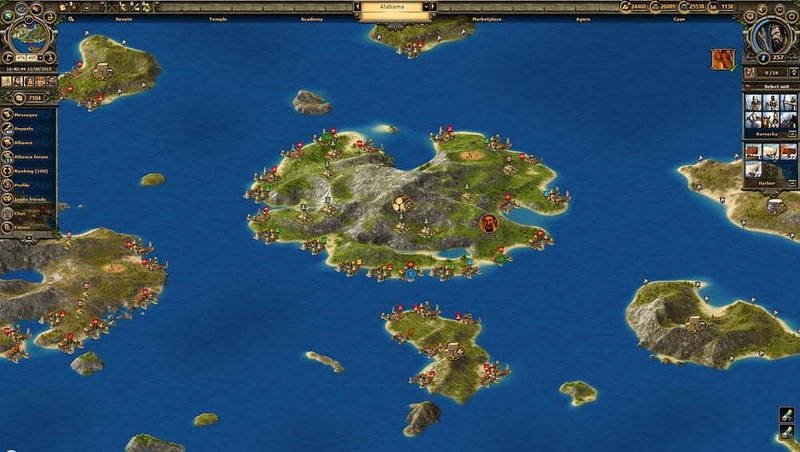 Begin your adventure on a small, peaceful island, where you will meet other new players. 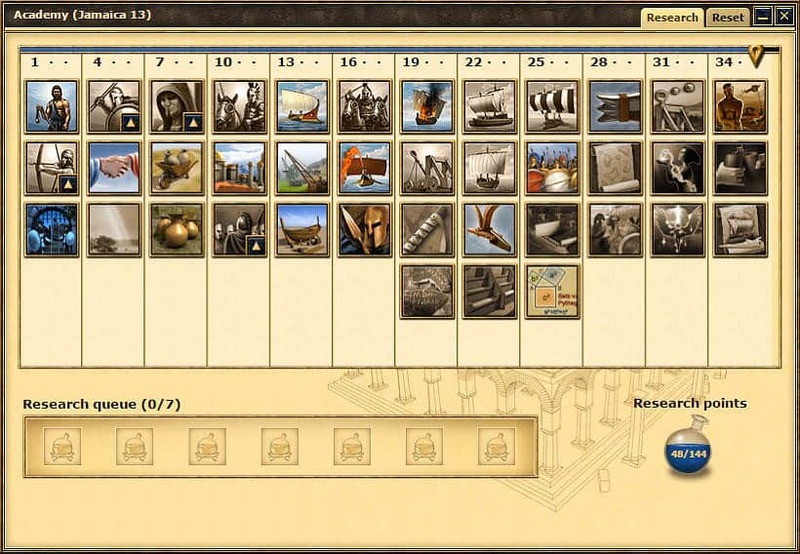 Your task is to establish a new city and gather resources, which will help your city to blossom into a magnificent metropolis with the option of 13 different buildings, and 8 monumental structures. 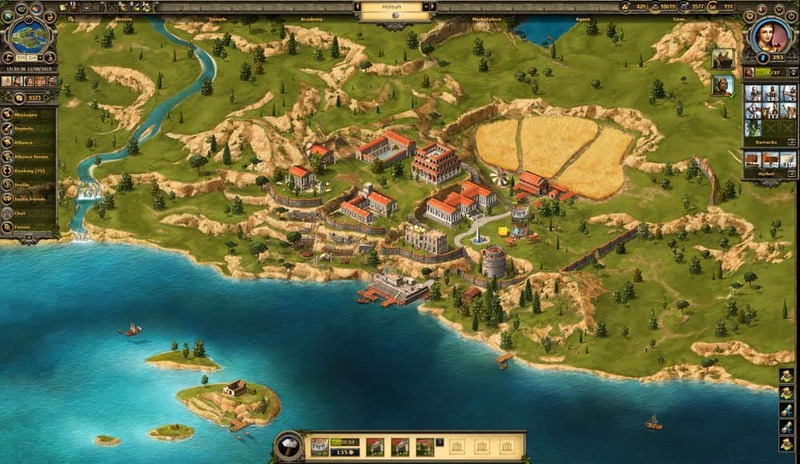 For example, building an academy will allow you to explore unknown technologies, and provide you with the opportunity to expand to other islands! 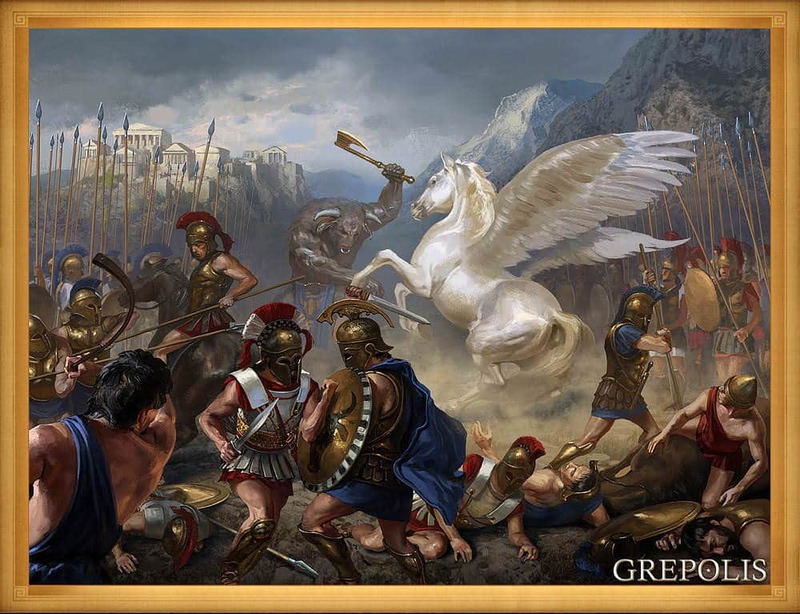 Athena is the goddess of wisdom and courage, she is also considered the Patroness of Heroic Endeavour. 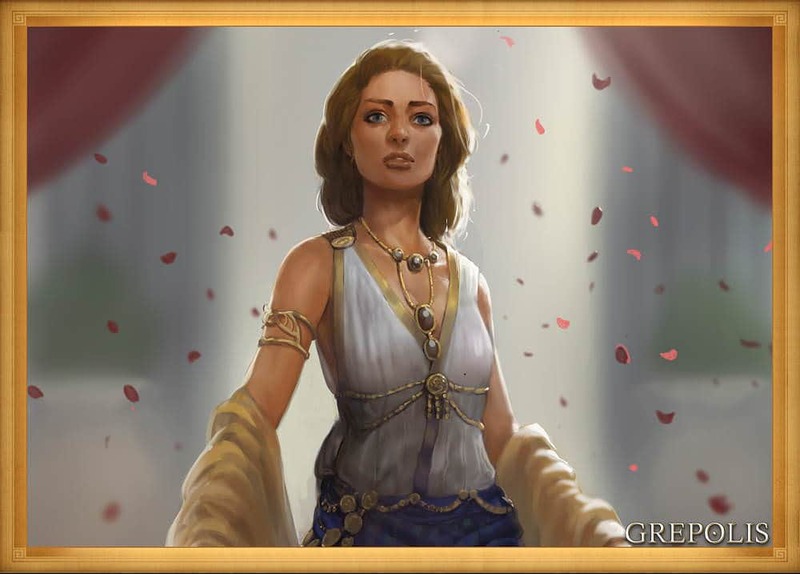 As the daughter of Zeus the Unconquerable, she will bravely stand by her loyal defenders rallying them to form a tight impenetrable unit. It does not matter if there is an army standing at the city gate that is so vast that the earth itself shakes under their feet. Artemis, the goddess of the hunt is a strict and gruesome goddess that’s hostile towards all men. Her divine powers can cause her enemies to hallucinate; however, she can also improve the aim of distance fighters, and negate the spells of her enemies. Her versatility in battle is a force to be reckoned with. 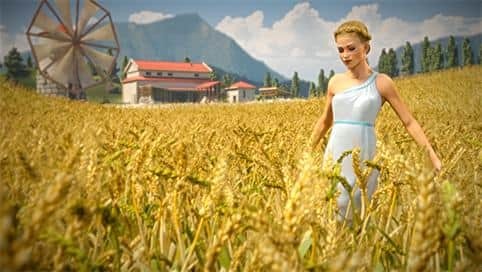 The goddess Hera is the protector of families. She gives strength and courage to your citizens. Her wedding spell increases your resource production for a short period of time, and keeps shivering farmers warm on cold winter days. As the ruler of the ocean, Poseidon resides in a crystal palace deep below the sea. When he is in a good mood; Poseidon creates new islands, and lets the ocean be still as well as navigable. On the other hand, when he gets angry, he plunges his trident into the ground, causing earthquakes, floods, and making ships sink. Hades is the lord of the underworld. He reigns over the realm of the dead, and guards its treasures. 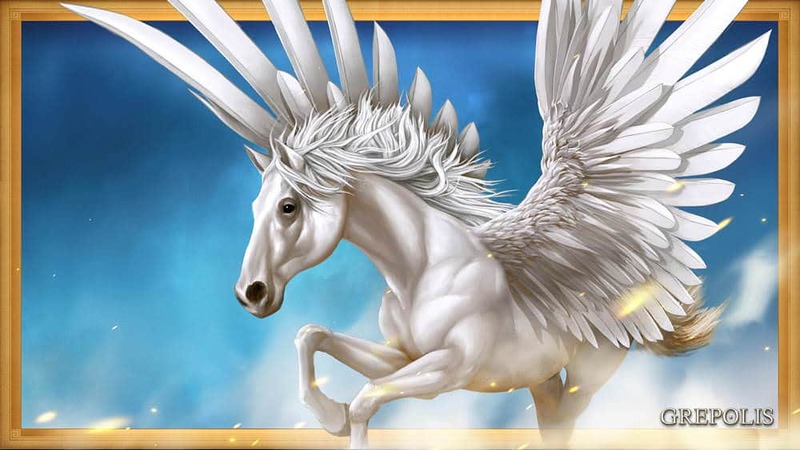 Hades grants you the power to revive units after your battles, and his mythical helmet keeps your armies undetected. 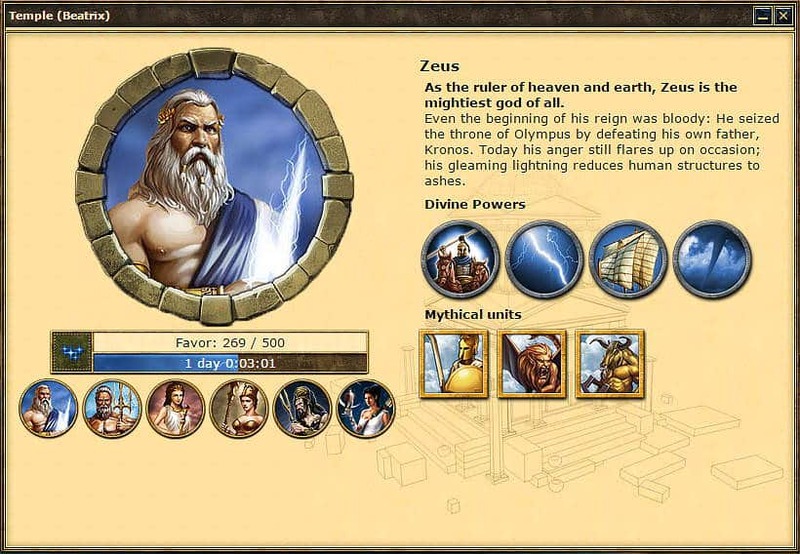 As the ruler of Olympus, Zeus is the mightiest god of all. He uses his power to darken the sky, and his thunderbolt can destroy buildings, or attacking fleets. 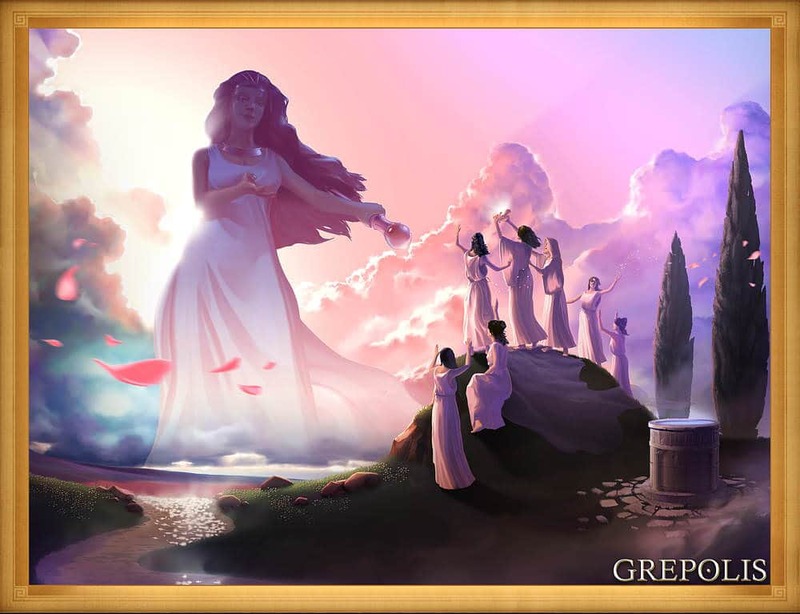 In Grepolis, you will soon find new friends with whom you may want to join forces, and form a powerful alliance. 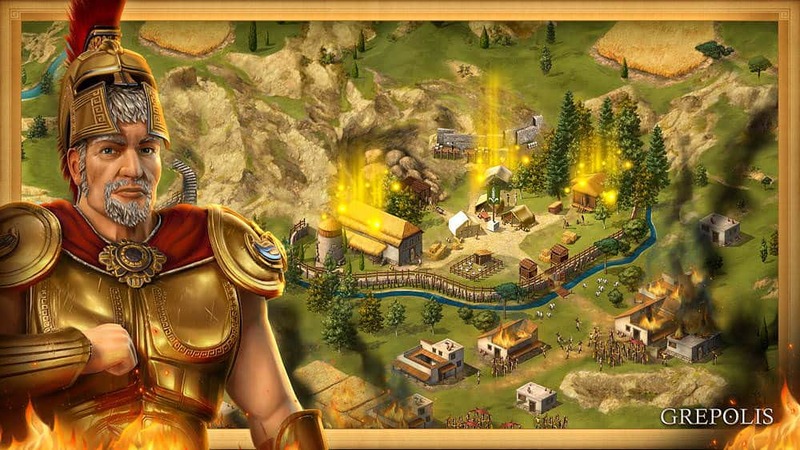 You must then coordinate your next attacks, conceive elaborate strategies, and crush your enemies! 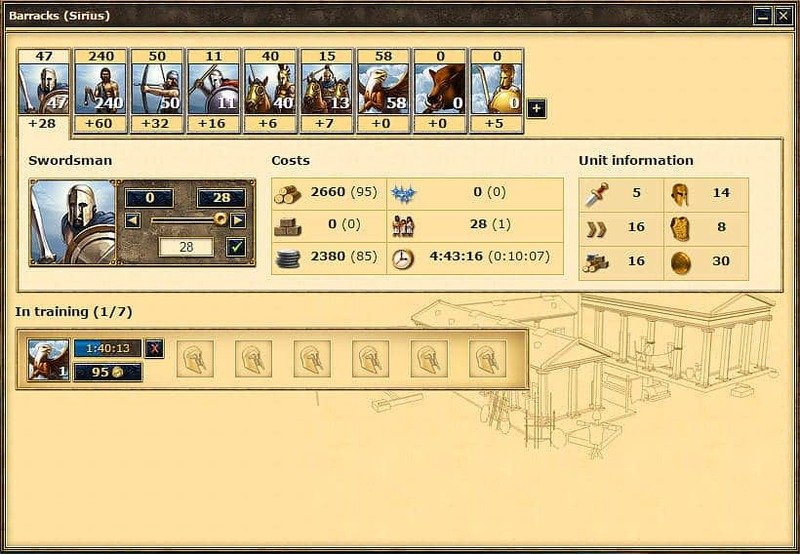 Don't forget to defend your cities by creating a core, and always have a strategy for your troops. 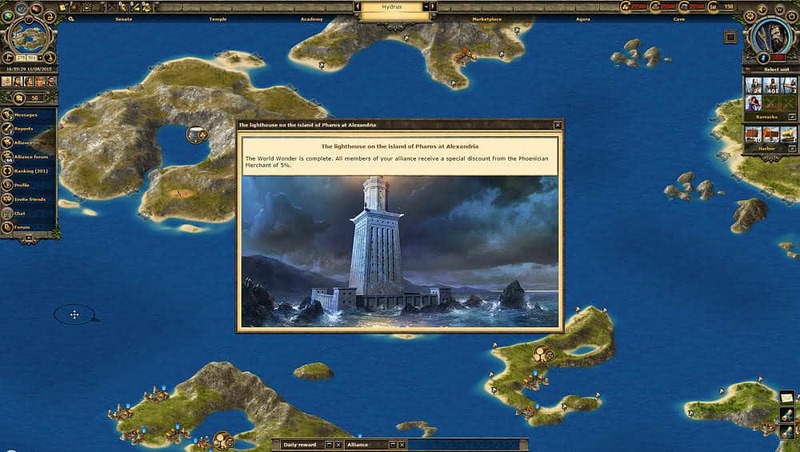 United you are strong, and can expand your empire; city by city, island by island, and ocean by ocean. 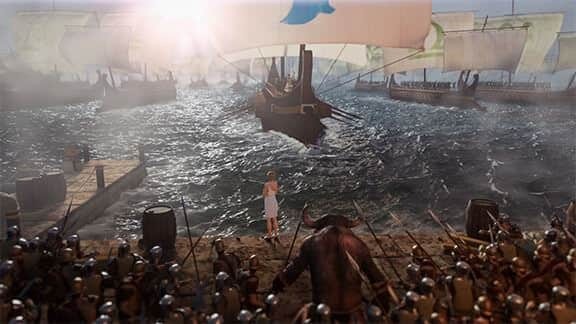 The Hall of Fame lists the best players and alliances from each game world. 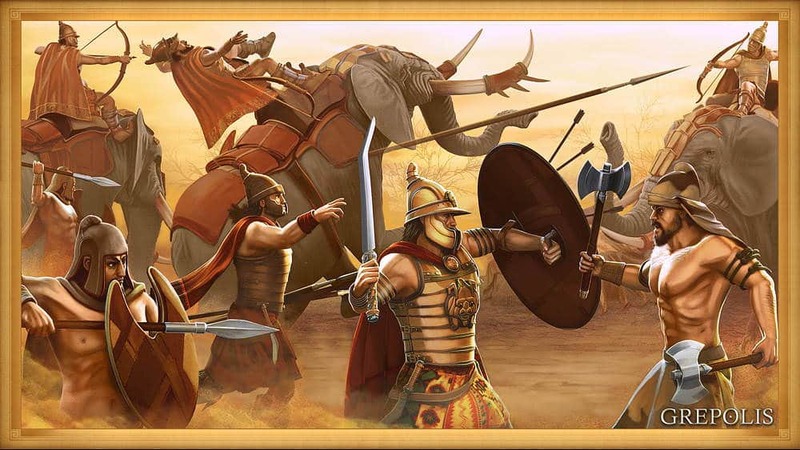 Only those who master their warfare prowess, and have a well thought out, strategic approach to fight their enemies will be able to claim their place in the Hall of Fame.